When I graduated from medical school in 1986, medical records were all on paper, health insurance was fairly simple, and the options for treating people with Parkinson’s (PWP) were limited. Movement disorders were not in the spotlight, so very few patients were in the care of doctors who focused strictly on Parkinson’s disease (PD). Now, more than 30 years later, the landscape has changed radically. Medical records are becoming mostly electronic, healthcare insurance has become complex and hard to navigate, and there are many new options to improve the lives of PWP. Neurologists are much more subspecialized and movement disorder specialists are much more available in many U.S. communities. With all of this change, the role of the primary care physician (PCP) has blurred. You may have a family physician (also known as a general practitioner, or GP), an internist or another provider such as a nurse practitioner who helps with your general medical care. Given the increasing complexity of medications and other treatments for PWP, most patients in an urban area will have a neurologist, as well as possibly many other specialists (eg. cardiology, dermatology, pulmonology, gastroenterology, etc). So who is the captain of the team? As a family doctor in the same office for over 25 years, I have the advantage of getting to know my patients well. Although my practice has relatively few PWP, I have a special interest in Parkinson’s disease, having lost a brother to complications of his PD. 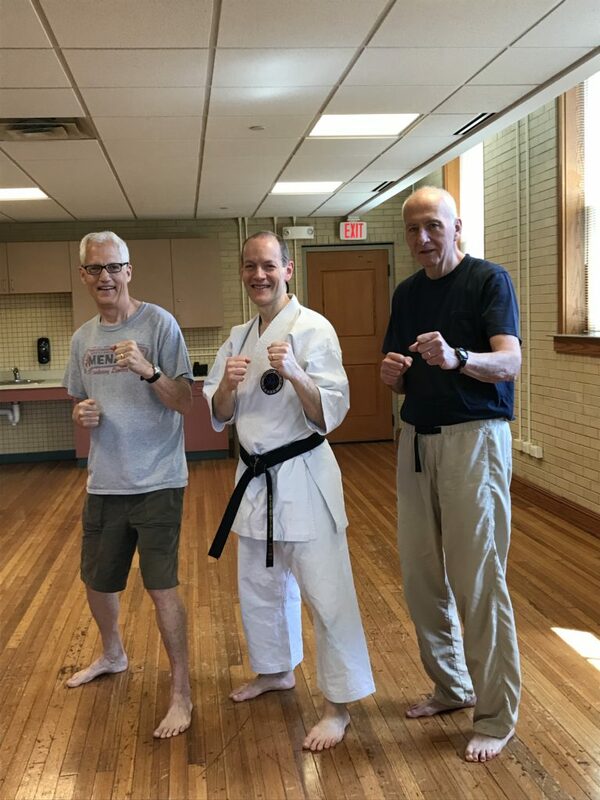 As a tribute to his memory, I recently became a Rock Steady Boxing coach, and have added Rock Steady boxing to the activities at my karate dojo in Wilmette, Illinois. Although it would seem easy to have your medical records available to any doctor you choose, medical privacy laws prevent access of medical charts without authorization. Find out how your PCP’s office communicates with other doctors who are involved in your care, and make sure that you’ve signed the necessary forms to allow them to talk to one another. If your specialists are in a different town and far away from your PCP, ask the specialist to send a report to your doctor after each visit with a neurologist or other provider to summarize changes in your status. If you are lucky enough to have your primary doctor and specialists in the same group, the communication is seamless. Be aware that the most protected information is in the records kept by mental health professionals (therapists, psychiatrists), and will be the hardest to access. Part of keeping your PCP up to date in your care is making sure to discuss new diagnoses and treatments that might be taking place in a different doctor’s office. Make sure your PCP has an updated medication list and “problem list,” so that you can discuss important issues as they arise. Your family doctor will need to be current on medication changes, in case they want to prescribe something that might interact with a drug from another prescriber. There can be overlap in the care provided by different doctors, so make sure that you know who is in charge of blood pressure, diabetes, arthritis or any of the other problems faced by older adults. Let your PCP pick your “team” of doctors, by referring to quality people in your area. Your PCP can also be your advocate if you are having trouble communicating with or understanding directions from specialists. I often function as a “translator” to help my patients with complex issues. Since we are all so individual, it’s difficult for doctors to recognize what works best without feedback. If Rock Steady Boxing or a similar program is helping you greatly, make your PCP aware of the positive impact you are feeling. Patients teach me things every day, and your insights will help your fellow patients with their care. Likewise, if a program, place or specialist is not working out well, let your doctor know. I only wish that my brother could have tried being a Rock Steady Boxing participant. Of course, Rock Steady Boxers need to be safe in their pursuit of better health. The pre-participation exam is important to avoid injury or worsening underlying conditions. Let your doctor know what you are doing in your exercise sessions, how you react to exertion, and any goals you have in mind with exercise. It’s important to then see what kinds of recommendations you will receive about how to time your medications and hydration/nutrition relative to your workouts. Let your PCP know if you’ve ever had problems with fainting, low blood sugar or other negative reactions to exercise in the past. Let your PCP know that if they have other patients with PD, you might be willing to talk about your experience with Rock Steady Boxing or another great program. By having first-hand experience, you are the most credible source of information. Spread the word! PWP may get a bit of “fatigue” from seeing so many doctors and therapists. Since PD dominates the focus, I sometimes see patients that have neglected to take care of recommended vaccines, blood monitoring (e.g. cholesterol) and other screening tests. Medicare has an Annual Wellness Visit that every recipient can use as a part of their routine health care benefits. Take advantage of a general health and safety assessment each year. Show off the improvements that you have made with exercise, and let your pride in being a Rock Steady Boxer be obvious. There’s nothing that lifts my spirits as much as a patient who shows me what they can do with determination and courage. You can be “just what the doctor ordered”! 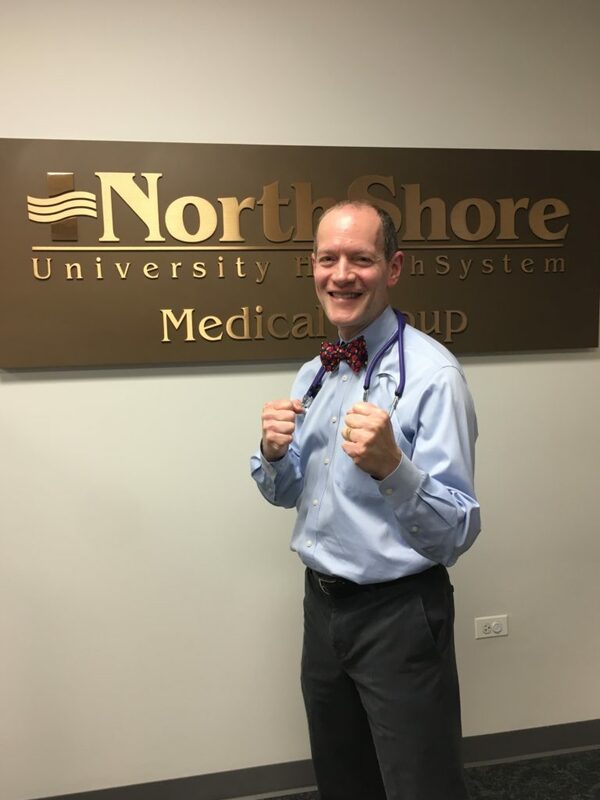 Steve Eisenstein, MD is a board-certified family physician in Northbrook, Illinois. He’s started working with PWP in his area, mixing training methods from traditional Shotokan karate and his new Rock Steady Boxing skills. He donates his time in memory of his older brother, Bob, who lost his struggle with PD 18 years after his diagnosis. Battenberg’s Martial Arts & Fitness is PROUD to be the FIRST Rock Steady Boxing Affiliate in the state of Texas! Our boxers are getting stronger every day. Since March, 2015 – we have had nearly 100 boxers come through our location. Many train with us up to 3 times a week. Some of them have found other locations closer to them (as there are now 5 RSB affiliates in the Greater Houston area). If you know anyone with Parkinson’s Disease, PLEASE reach out to them about the great success Rock Steady Boxing is having across the world! If you want more information on our Rock Steady Boxing, click the button below.